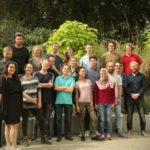 A student spinoff company from Delft University of Technology creates an Education DoTank to develop plugins for the LMS. 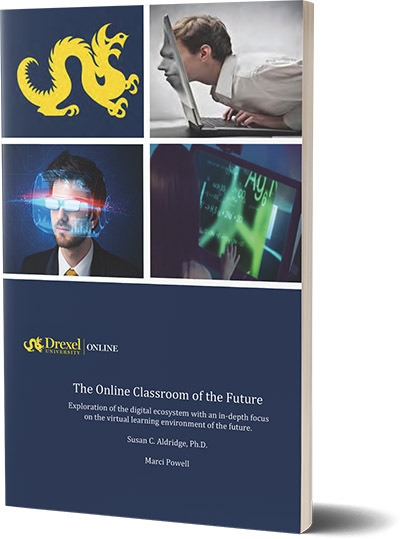 Quite often, universities are fertile grounds for innovative ideas to become reality. A fine example of this is FeedbackFruits, a spin-off from the Delft University of Technology in the Netherlands. Their focus was to find a way to leverage technology to enable teachers to create engaging learning activities. With the end mission of moving education toward active, blended, and personalized learning, FeedbackFruits explored various software solutions to aid in this transition. They were guided by the firm belief that both teachers and students needed a complete and intuitive social learning experience, with the same feel and touch as the websites and apps they use daily. So they built plugins for learning management systems that support pedagogical methods such as engagement and interactivity, peer2peer learning, group based learning, and other blended learning methods. Teachers can enrich their course and more easily engage their students by mentoring, provoking and stimulating them. Students are empowered to learn from and help each other! This allows teachers to make study material and lectures interactive in a collaborative learning setting. Teachers can create individual learning pathways per course and per student. 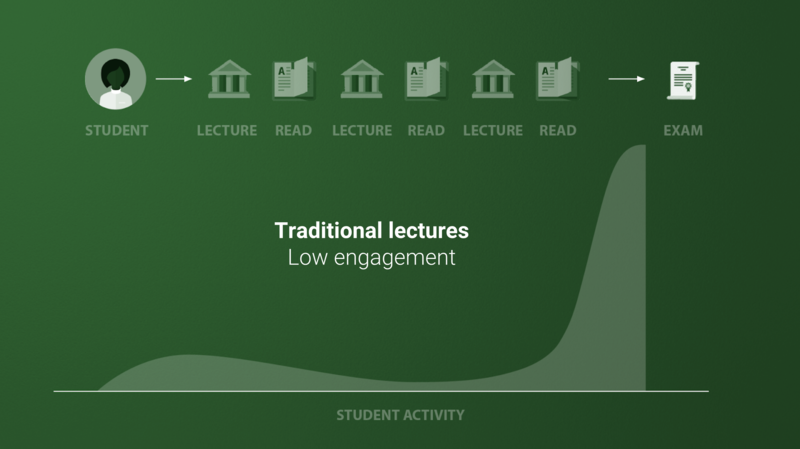 They can also know more about students’ learning needs than ever before, via integrated analytics. Additionally, teachers are empowered to share insights with other educators of how these plugins can best be used. Staying true to their innovative nature, FeedbackFruits’ solutions for blended learning will always be evolving with the needs and desires of the teachers using them. 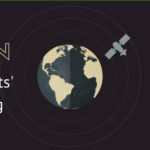 Launched in 2016, the International EdTech Consortium is an initiative by FeedbackFruits to connect experts from all of their partner universities in accelerating the turning of needs and demands in higher education into practical, technology-based solutions. “Inspiration Day” meetings are held yearly with these partners, where insights are gathered and then iterated upon by the FeedbackFruits team. 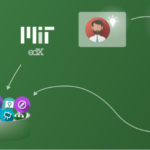 A recent example of such a solution is “Discussion Assignment”, a plugin FeedbackFruits co-created with MIT’s open learning department, which enables structured critical discussions around case studies. It comes as no surprise, then, that Feedback Fruits has been widely adopted and is currently expanding beyond Europe, into the North American and Australian markets. Over twenty years ago, Stanford University invested in a student start-up meant to revolutionize the Internet. Who knew that their investment would reap significant awards? Three years after Stanford students Larry Page and Sergey Brin met in 1995, their student startup became incorporated, Google Inc. Page and Brin selected the name Google from the term googol which is 1 followed by 100 zeros. This was foretelling since the company is nearly a trillion dollar company today. 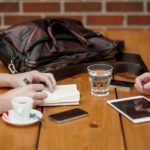 Stanford University was wise to invest in this student startup! Delft University of Technology, in the Netherlands, feels the same way about their investment in the student startup, Feedback Fruits. The university is continuing to reap the benefit in a number of ways. TU Delft is among the world’s leading educational innovators serving over 340,000 students through its Open Education program delivered on the edX MOOC platform alone. The university collaborates with the FeedbackFruits team to focus on engaging students in interactive learning. 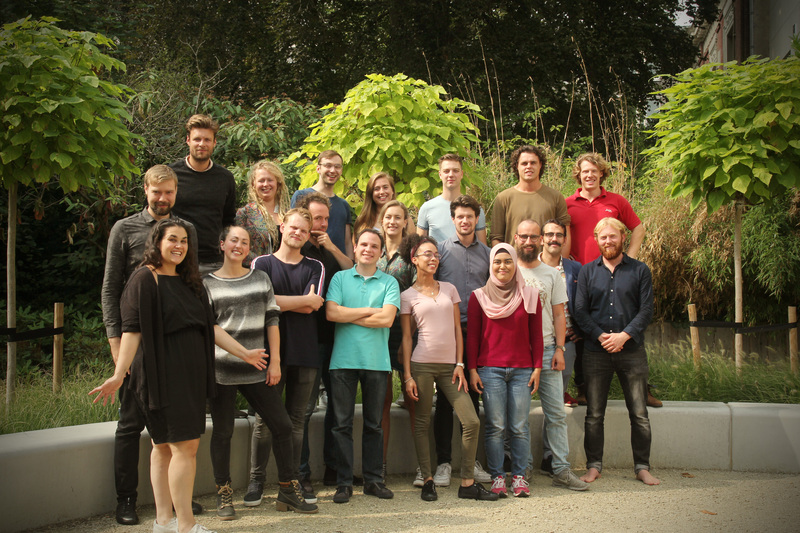 As a founding partner, TU Delft gave FeedbackFruits the task of helping promote and facilitate improvements in this area. To date, over 150 courses use the FeedbackFruits platform while teachers and students are actively contributing to its continued development. Dedicated to the mission of improving education, Feedback Fruits co-founder and CEO, Ewoud de Kok, believes that critical thinking, self-reflection and being able to formulate other people’s views is essential to the prosperity of democratic societies. To teach these qualities, he thinks education must change to become an environment of active engagement. Whether teaching in a traditional classroom or online, teachers must find ways to activate students. There is a tremendous need for didactic innovation. 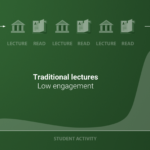 FeedbackFruits has a clear strategy to implement this on a grand scale: listening to the wishes and concerns of teachers and experts from top universities who seek to modernize didactics, then sharing the fruits of these insights. Teachers and students needed a complete and intuitive social learning platform that supports blended learning, flipping the classroom and peer-to-peer learning. To ensure excellent usability, this also had to seamlessly integrate with the apps and websites they use daily, such as their LMS platforms. FeedbackFruits stood up to the challenge and answered this need. By collaborating with teachers who desire to transform the learning environment for their students, FeedbackFruits develop new evidence-based teaching methods. To enable this, the International EdTech Consortium was created, formed of more than 15 partner universities (e.g., MIT, TU Delft, Hult IBS), all with the coherent vision and commitments to innovate learning design. These tools automate the process to stimulate active thinking and provide an engaging environment. 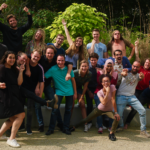 The Education DoTank, or Onderwijs Doetank in Dutch, is a collaboration initiative between consortium partners and FeedbackFruits, with the prime goal of building innovative educational modules (API plugins). Twice a year, different challenges are addressed during the Education DoTank inspirational Days is which partner universities offer their team of instructional designers and technology experts, as well as teachers, who share valuable, experience-based information with FeedbackFruits. Eventually, after several phases of development, this results in practical, technology-enabled solutions for didactic challenges, which teachers can use directly and simply to innovate their courses, as they can be seamlessly integrated in virtually any type of LMS. Interactive presentation, which is a module, designed to simplify adding interactive activities such as polling during a live class. Interactive Video, which enables teachers to take a video and make it interactive with class discussion. Interactive Documents, which lets you add questions to a document to create effective interaction for students as they consume the content. Interactive Peer Feedback, which encourages students to work together providing peer feedback throughout an assignment. Group Member Evaluation, which improves student collaboration skills with group member peer assessments. Students reflect upon each other’s performance after collaborating. 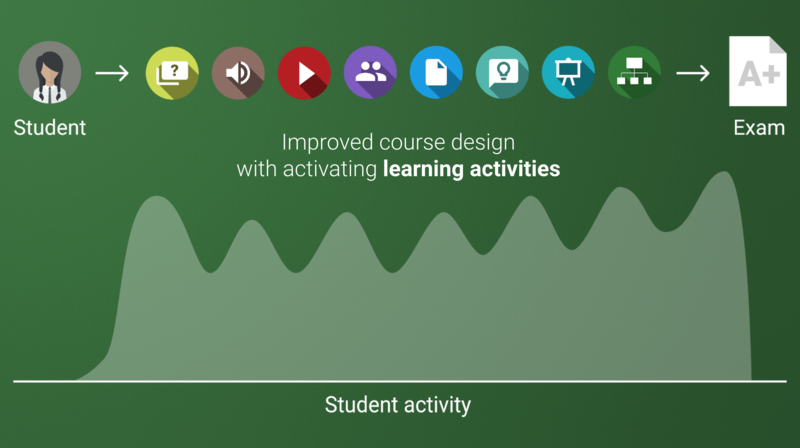 In addition to this, FeedbackFruits is in the process of rolling out the “Learning Activity Store”, which will contain collections of various use cases (i.e., Learning Activities) for each of the modules, sourced from teachers using them in their courses. Consequently, innovative ways of using the modules are easily distributed to all users of the FeedbackFruits platform, ensuring creativity and versatility in the way the tools are used, thus exponentially improving didactics with the classrooms of all partner universities. One professor, Dr. Cora Busstra, teaches Epidemiology at the University of Wageningen. She was very pleased that her idea became a tool developed through this process. The “Collaborative Learning and Participation Grading” plug-in streamlines the discussion group method for her classes. A lecturer at Inholland University of Applied Science, Jeroen Bottema, has his students develop understanding by reading scientific literature and having discussions. In collaboration with FeedbackFruits he developed the “Comprehension” plug-in. It allows students to collaborate by annotating on reading materials. All student comments are linked giving a more comprehensive overview of each individual thought process as well as the collective one. This gives the instructor the ability to focus better on specific student learning outcomes and students a more targeted Approach to each article for a deeper understanding. The future is looking bring for FeedbackFruits, its partners, and implicitly, for the quality of higher education. 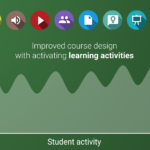 For example, FeedbackFruits and TU Delft are co-creating the “OpenCourseWare Suggester” module to help teachers enrich their courses with the open study material from the best universities worldwide. With the aid of artificial intelligence (AI), the tool examines what the course is and automatically fetches a selection of materials that fit. Furthermore, several others are on the way, including a AI-based Teacher’s Assistant, “EduBot”, which gives teachers real-time insights about the students’ performance (Utrecht University), the Discussion modules, which enables structured debate over submitted material (MIT), or the “Teacher’s Network”, a way for teachers using the platform to easily communicate and share their experiences (University of Amsterdam/Erasmus University). 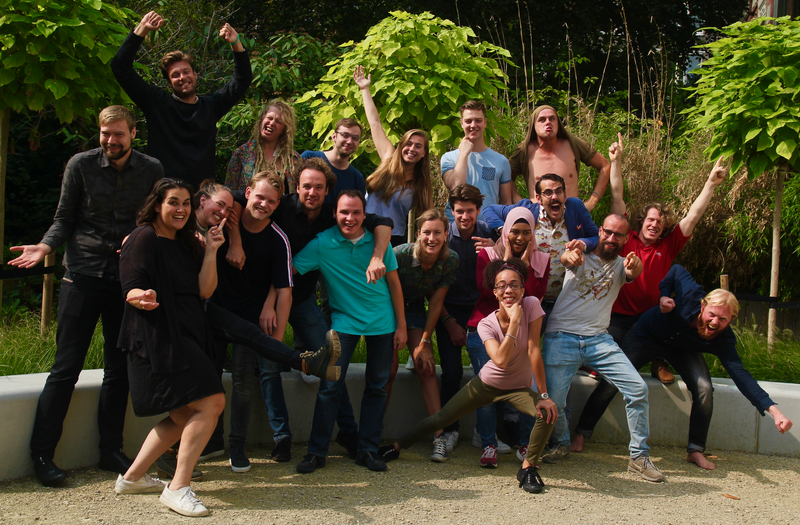 Needless to say, TU Delft can be proud of the tremendous value FeedbackFruits is bringing to higher education, not only in the Netherlands but beyond. At present, the Dutch company is ambitiously pursuing expansion within the Australian and North American markets. Their goal is clear: To accelerate the implementation of active, blended and online learning designs by digitally enabling and sharing innovative learning activities. Their purpose, unchanged: Improving higher education and the minds it shapes.